There are several types of bankruptcy. Each Chapter of the bankruptcy code covers a different kind of debtor or aspect of bankruptcy cases. Chapter 11 bankruptcy is specifically used for business reorganizations, but some high-income individuals may be able to use it as well. Chapter 11 differs from Chapter 7 bankruptcy because it generally does not involve a liquidation, but it can. When you see a large business that files for bankruptcy but still continues to function long after it files, it has likely used Chapter 11. Below are several need-to-know features of Chapter 11 bankruptcy. Unlike Chapter 13 bankruptcy, there is no minimum time limit that a debtor must use to pay off its creditors. That means that a Chapter 11 bankruptcy could go on for years to come. In many situations, however, the debtor may not have the ability to ever pay off its creditors in full. In those types of cases, a Chapter 11 plan may be more creative to address debts so that the business can continue to function. Another unique aspect of Chapter 11 is that other entities or individuals can propose a plan for the debtor as well. That means that the debtor may not be the only entity that controls what happens to it during the bankruptcy. One very unique aspect of Chapter 11 cases is that they sometimes have an Unsecured Creditors’ Committee that will be formed to represent the interests of the unsecured creditors. This Committee is made up of the largest five creditors (in most situations). This Committee has the power to employ professionals like attorneys and accountants to help further their interests—at the expense of the debtor. The Committee will sometimes develop its own plan for reorganization that provides them with a higher return for unsecured creditors. The major players in a Chapter 11 have to vote positively for a Chapter 11 plan to be effective. If there is more than one plan available, the creditors can vote on which proposal they would like to see in place. Usually, the plan with the highest return for all of the creditors will “win” the votes, but this isn’t always the case. 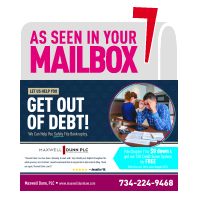 If you want more information about what type of bankruptcy may be the best option for you, contact Maxwell Dunn. We can walk you through your options and help you decide what your next steps should be. Contact our team today.